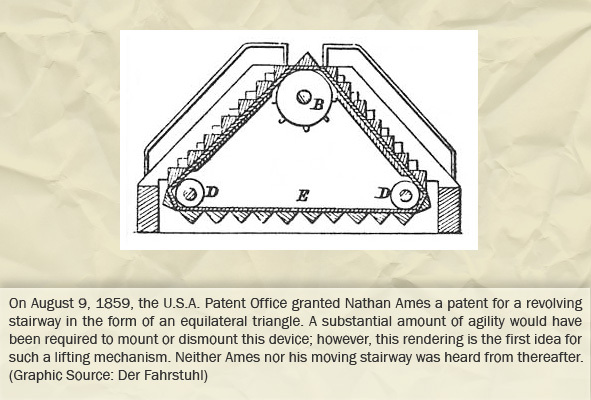 Possibly the momentary success of the paternoster attuned the minds of inventors to other forms of continuous short-range transportation. In a short period of time, a handful considered the means of moving people -- not just cars -- continuously in solving a major problem of the era. 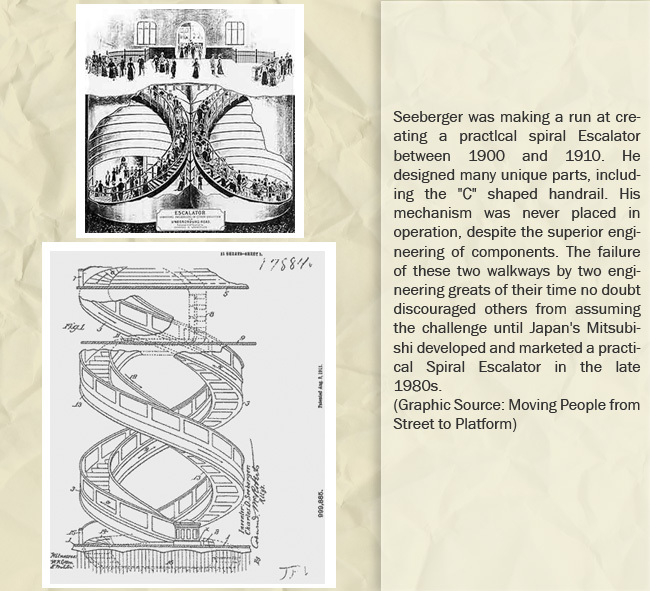 Driving these entrepreneurs was the development of underground railways in the world's largest cities. The metropolitan populations working in the rapidly growing cities of England, the Continent and the U.S. were anxious to live in other than city tenements. Even the distance between tenements and workplaces grew apace. Street traffic was slow and unregulated, rivaling that of modern times. The surface congestion, to and from work, in and out of the city core, was finally alleviated by the construction of underground and elevated train systems. As the crowded trains -- often one close upon another -- dispersed or gathered many thousands of passengers at peak morning and evening hours, an efficient means had to be found for clearing the platforms. 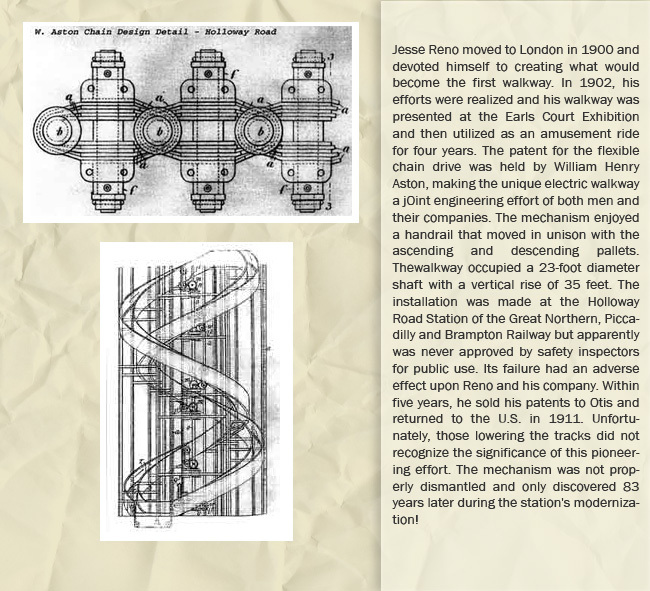 The rail stations became the laboratories in which the continuous short-haul, floor-to-floor movement of passengers was studied and improved. 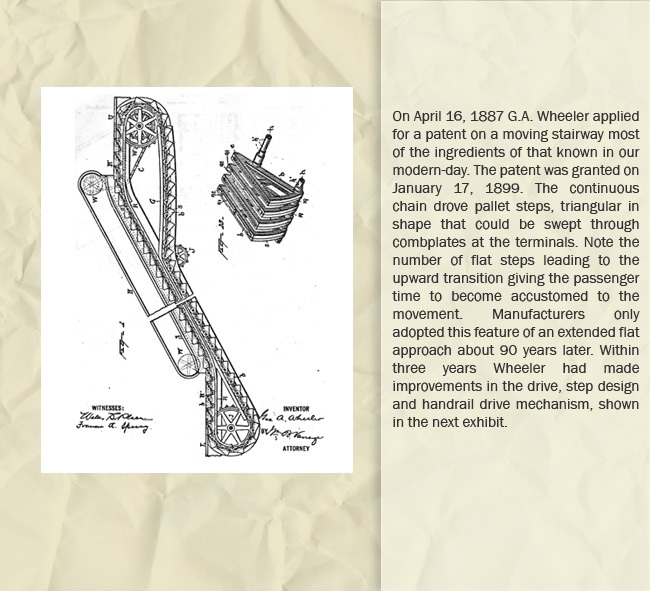 The resultant escalators were built in several widths. Experiments were made with varying speeds and the effectiveness of safety devices. 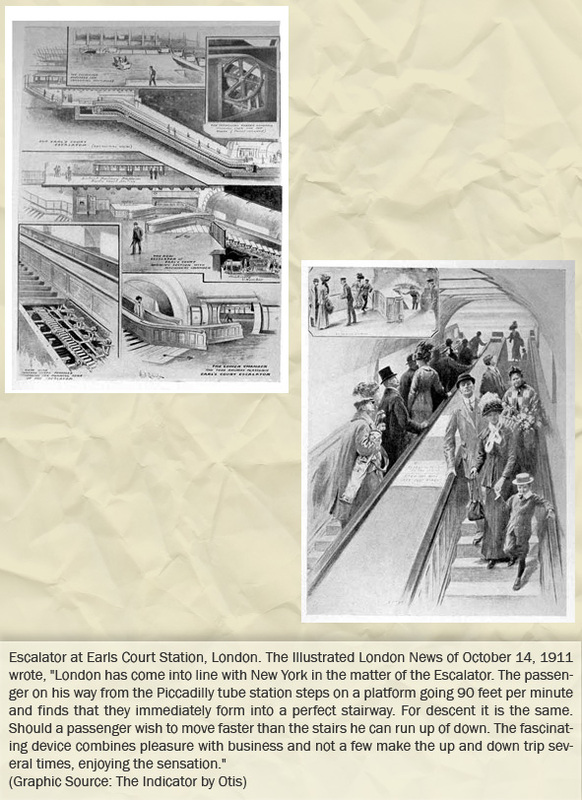 Did other congested locations exist in which people needed to be moved continuously from level to level? The department store, coming into prominence as a marketing system offering a wide variety of goods, was the next proving ground. These innercity merchandizing marts, arranging selections on a limited number of floors, were the next obvious location for moving stairways. 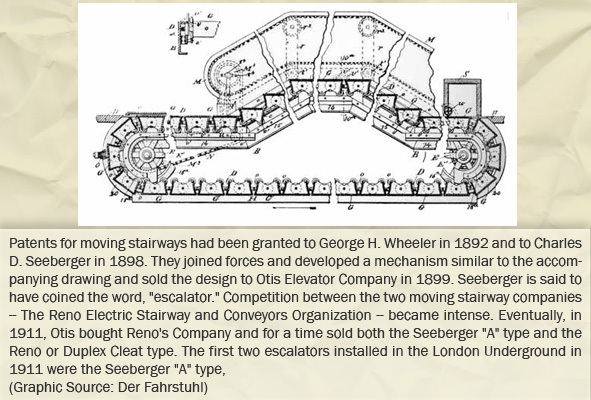 They would release overloaded elevators, slowly sorting out shoppers, floor by floor, for service to upper levels. The escalator literally sucked shoppers in, providing a view of the merchandize, not available from the cabin enclosure, and disgorged them as from a faucet. 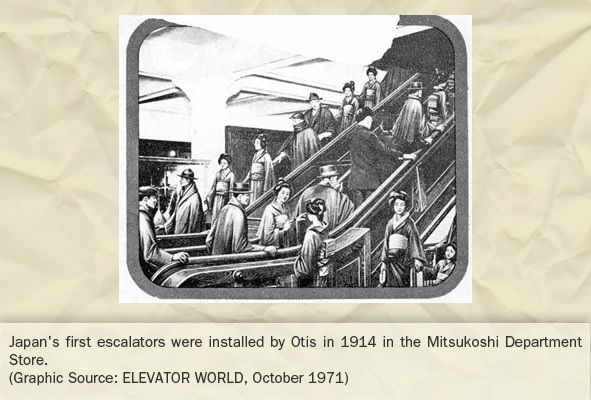 Accidents were literally unknown on early escalators as children were closely tended and department stores not seen as alternate playgrounds. 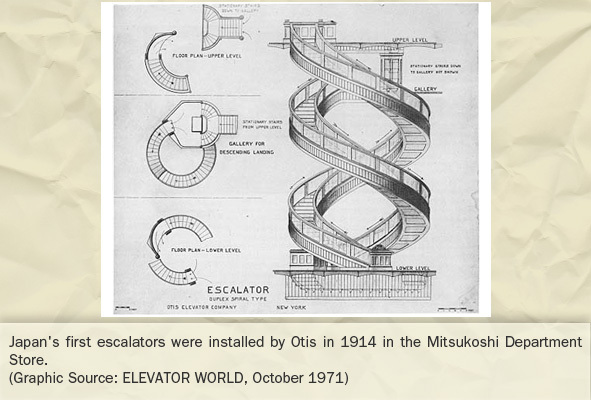 As the efficiency of moving stairways was realized, units were arranged in stacks, seen as viewing platforms for shoppers, as well as rapid transport. 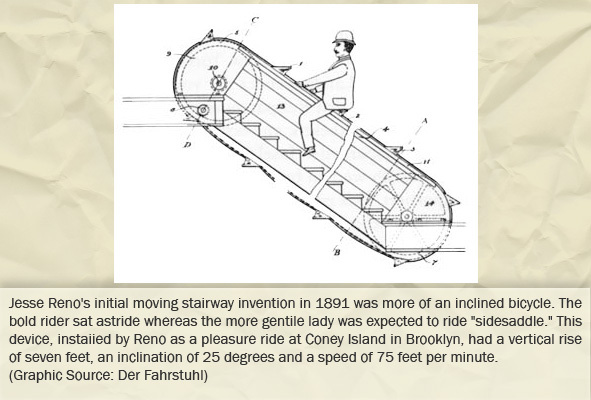 When air and sea passenger transport came to rival that of rolling stock, escalators found their place wherever an efficient transfer of passenger was required between alternate forms of long-range transportation.